It's only been a few months since its release, but the tower defense first person shooter hybrid Sanctum 2 is still going strong. The new DLC Road to Elysion brings a handful of new maps, weapons, towers, and enemies to the mix, with three other DLC releases planned for the future. 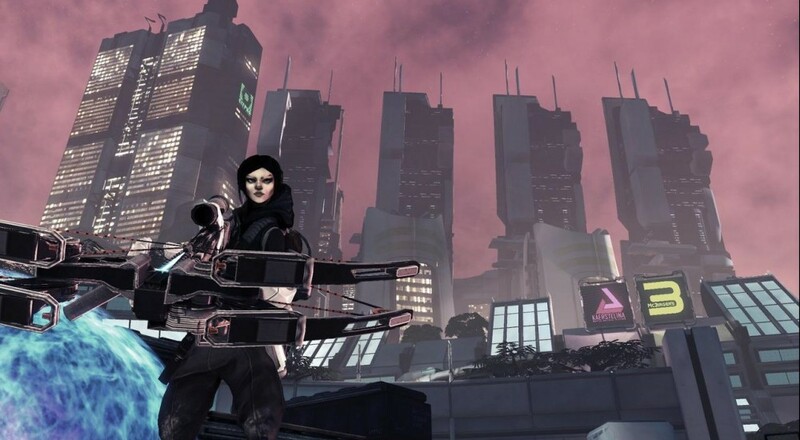 PC owners have had access for a few weeks now, but due to complications with Microsoft's submission process the XBLA release has been delayed until the end of the year. Sadness. On the bright side, though, when Road to Elysion does hit XBLA, it will be bundled with DLC #2! Coffee Stain is doing this to minimize the cost associated with releasing products on XBLA. If sales are strong, DLCs 3 and 4 will hit XBLA in a similar fashion. Currently PC owners can buy a season pass offering a 25% discount on all four DLCs or purchase them individually as they're released. 2 New Weapons - Rapid-firing Gatling Laser & TSYGANs own handheld Ballista! 2 New Towers - Range Spire that dramatically increases the range of nearby offensive towers and the Slow Field Dispenser letting you strengthen your choke points further! Enhanced Enemies - From new support monsters that heal and mutate the attacking horde to a brand new aerial enemy boss, players should be prepared for this heightened challenge. Additional Perks – Customize your character even more with six new perks, including a perk that gives you an in-game pet robot that will fight for you! Page created in 0.3501 seconds.